BRYAN EATON/Staff photo. 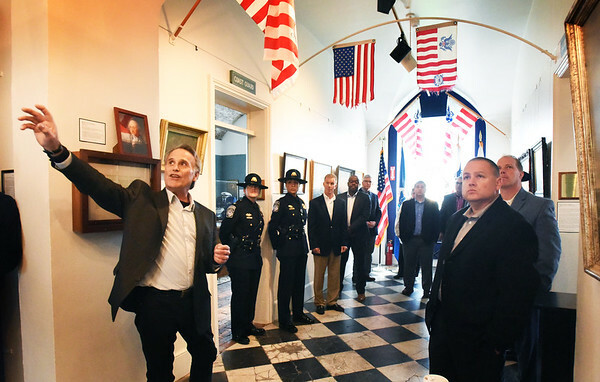 U.S. Customs officials held a meeting at the Custom House Maritime Museum in a nod to the beginnings of the agency which is now with the Department of Homeland Security. Executive Director of the museum Michael Mroz gave a tour of the facility , built in 1835, after their meeting.